What's up everybody. 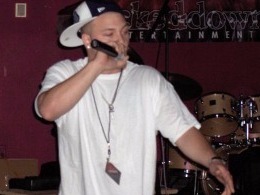 I'm originally from Lowell Massachusetts and I have been rapping, producing, writing for 15 years or so. Big fan of the Golden Age of hip hop including DMX, Big Pun, Tupac, NAS,AZ, Wu Tang, Mobb Deep, Rakim , Big Daddy Kane, Big L, and a big fan of reggae including Tarrus Riley, Damian Marley, Collie Buddz, Jah Cure, and Romain Virgo.